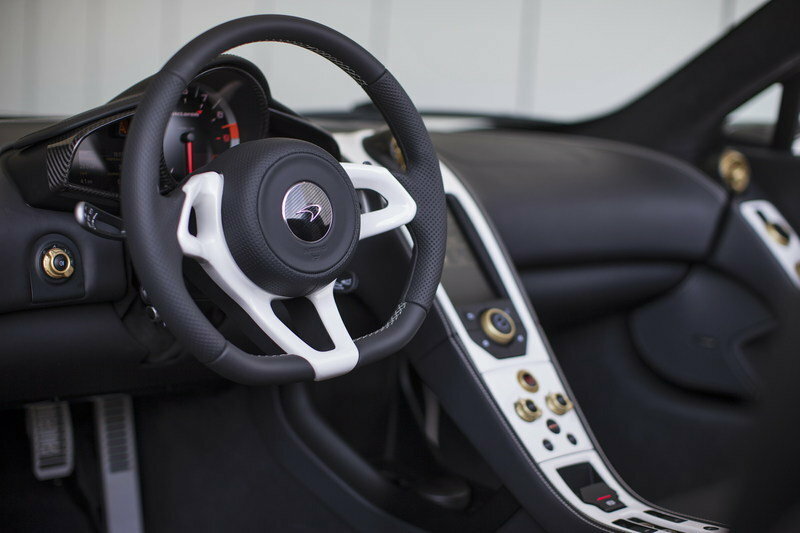 If you were at the 2015 Dubai International Auto Show, you would see three customized McLaren models sitting at the company’s booth – a Mclaren 570S, McLaren P1, and an exclusive McLaren 650S Spider named the 650S Spider Al Sahara 79. This custom 650S was developed by McLaren Special Operations (MSO,) and built exclusively for the Middle East market as a tribute to McLaren’s most loyal market. 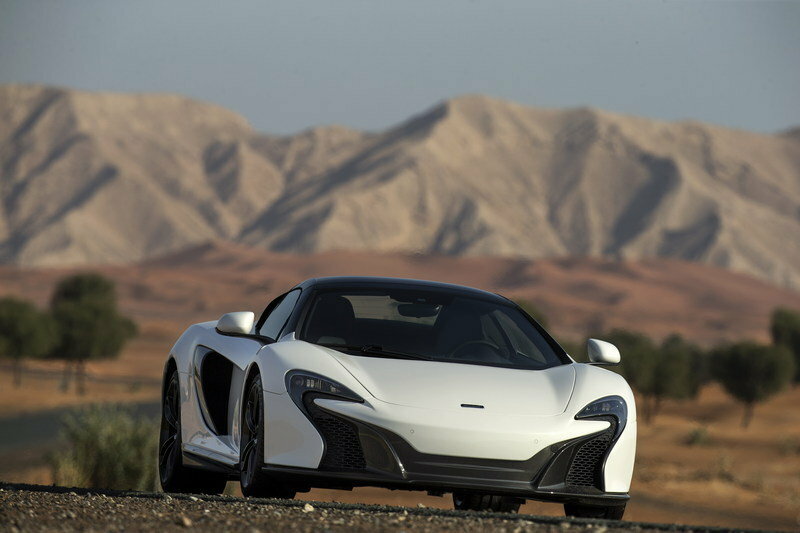 The 650S Spider Al Sahara 79 is said to be inspired by the rich history and culture of the Middle East. Even the name has a meaning related back to the Middle East. “Al Sahara” means Desert when translated from Arabic. “79” is the atomic number of gold – the precious metal that has long been associated with opulence and luxury in the Middle East. So, now that we know a little about the McLaren 650S Al Sahara 79, or “Desert Gold,” let’s dive into the details and see just what MSO did to this 650S to make it that much more special. Continue reading to learn more about the McLaren 650S Spider Al Sahara 79 By MSO. The exterior of the 650S Al Sahara 79 is painted in pearlescent White Gold infused with 24 carat gold particles that shimmers in the desert sun. The finish is said to be inspired by the styles cultures and landscape of the region. The Al Sahara 79 has a retractable hardtop and it rides on lightweight, forged alloy, five-spoke wheels that are painted in gloss black. Carbon fiber front intakes feed air to the engine and the carbon fiber, MSO-branded side blades give the car more of a “sculpted” appearance. A carbon fiber diffuser was added to the rear of the car, while a carbon fiber splitter was added to the front. The front splitter caries the same styling as the stock unit, but the rear diffuser gives a whole new look to the rear end, along with the mesh insert around the exhaust ports. The White Gold color scheme from the exterior carries over into the interior. The spokes of the flat-bottom steering wheel, the face of the center console, the inserts around the electric controls on the door panel, and the pedals all have the same 24 carat gold infused white paint from the exterior. There are lots of other subtle differences as well. All of the knobs on the center console, the control knob for the entertainment system, the dash vents, and the rotary controls on the door panel have all been colored dark gold. The seats are fully zoned and electrically adjustable with Black and Almond White leather and contrast stitching. The instrument cluster is surrounded by a carbon fiber insert, but otherwise, it and the display screen for the infotainment system remain the same from the standard 650S. MSO may have done a lot to the exterior and interior to make the Al Sahara 79 special, but the drivetrain was left untouched. It is powered by the same mid-mounted 3.8-liter, twin-turbo V-8 that was used in the production 650S coupe and spider. It produces 640 horsepower and 500 pound-feet of torque, all of which is able to push the 650S to 62 mph in three seconds. Furthermore, it can hit 124 mph in 8.6 seconds and 186 mph in 26.5 seconds. The seven-speed, dual-clutch transmission drives the rear wheels and helps the 650S hit the quarter-mile stint in 10.6 seconds at 138 mph. Its carbon ceramic rotors (15.5-inches in the front and 15-inches in the rear) help stop the car from the 186 mph benchmark in just 896 feet. If you happen to live in the Middle East and want to get your hands on the MSO customized McLaren 650S Al Sahara 79, you’ll have to pay quite a hefty price. By hefty I mean 1,456,309 AED, which — at current conversion rates — comes to $396,490 USD. 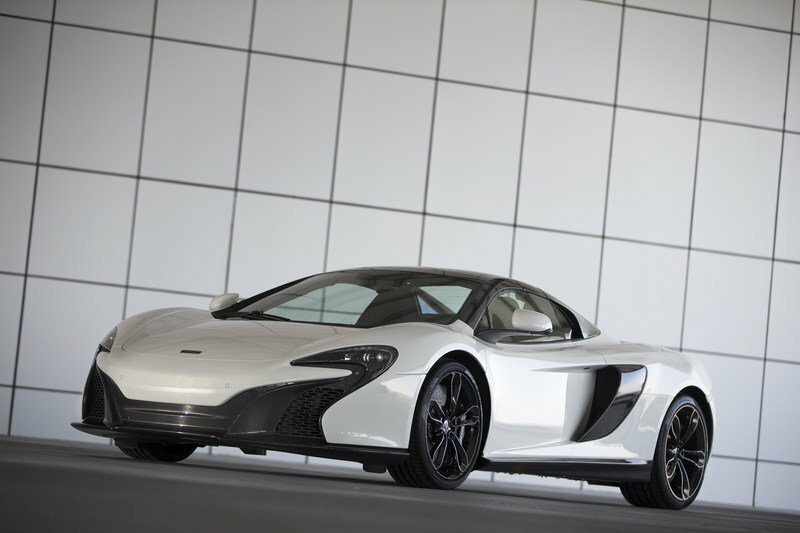 That is $116,265 more than the $280,225 that the production 650S spider pulls on any given day. That is quite the premium over the base model, but then again, that pearlescent white paint is laced with flakes of 24 carat gold. The LP 610-4 Spyder is a competitor to the McLaren 650S Spider, but nobody has had a chance to customize the LP 610-4 yet. 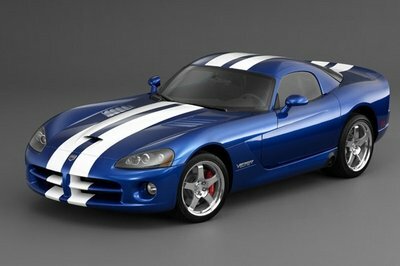 In its production form, it is powered by a V-10 that is mounted to a seven-speed, dual-clutch transmission. 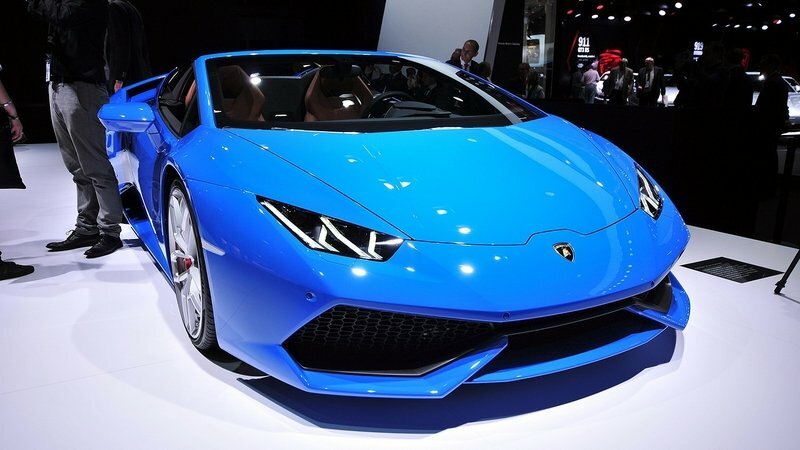 It produces 610 horsepower at 8,250 rpm and 413 pound-feet of torque at 6,500 rpm. The LP 610-4 Spyder comes in at €186,450 or $199,197 USD. 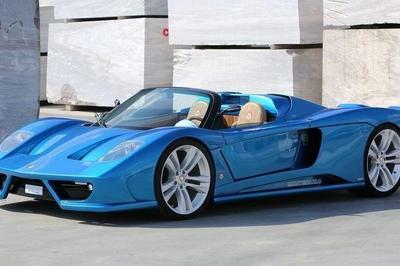 Once the LP-610-4 Spyder establishes a firm position in the supercar market, I expect to see several modified versions of the car that would compete quite well with the McLaren 650S Al Sahara 79. I really like what MSO has done to create the McLaren 650S Al Sahara 79. The exterior paint is exquisite and I love the way the paint scheme carries over to the interior. 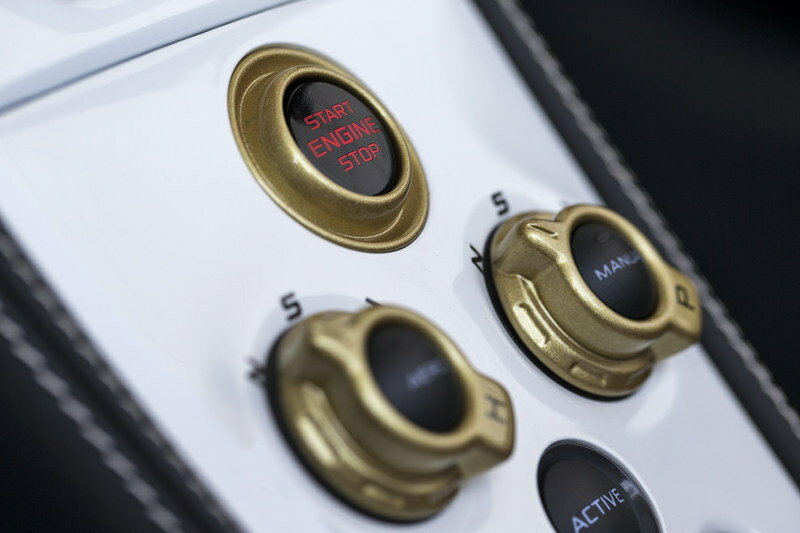 Even the little things like the dark gold control knobs and vent surrounds really pull the whole car together. 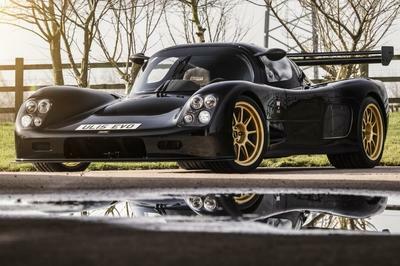 The Middle East is the adoptive home to some of the most beautiful cars ever built, and it’s only right that someone finally pays tribute to that region of the world. McLaren Automotive has today debuted an exclusive 650S project bespoke to the Middle East, as the covers have come off the 650S Spider Al Sahara 79 by MSO. The special edition model lines up alongside the 570S Coupé and a customised example of the McLaren P1™ at the Dubai International Motor Show 2015 as McLaren showcases the recently announced three model tiers – the Sports Series, Super Series and Ultimate Series – in the region together for the first time. The 650S Spider Al Sahara 79 has been developed by McLaren Special Operations –the division of the company responsible for bespoke craftsmanship – and is available exclusively for Middle East customers. The uniquely formulated paint scheme and bespoke specification have been inspired by the styles, cultures and landscape of the region, and contribute to the name of the latest MSO model. ‘Al Sahara’ translates from the Arabic for desert, and the crisp pearlescent white gold paintwork has a subtle shimmer, inspired by the golden sands which form such a distinctive part of the Middle Eastern landscape. This unique paint finish is achieved through the addition of 24 carat gold particles. The precious metal, associated with opulence and luxury throughout the region has an atomic number of 79. Contrasting detailing on the exterior of the 650S Spider Al Sahara 79 includes a retractable hard top and lightweight forged alloy wheels finished in gloss black. 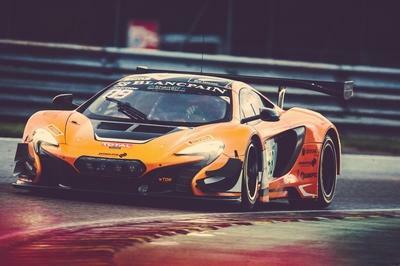 Carbon fibre is used for the side intakes, front splitter and rear diffuser, while aggressive, full-length carbon fibre MSO-branded Side Blades provide a more purposeful and sculpted appearance. A fully custom-zoned interior features black and Almond White leather upholstered electrically-adjustable sports seats with contrasting stitching, with the Al Sahara 79 paint scheme carried through to the steering wheel, centre console and door panels around the heating and ventilation controls. A dark golden finish has been applied to all switchgear and heating vents. Power comes from the multi-award-winning mid-mounted 3.8-litre twin turbo V8 engine seen in the 650S Coupe and 650S Spider, producing 650S PS (641bhp) at 7,250rpm and 678NM (500lb ft) of torque. Performance and economy figures remain unchanged, with zero to 62mph (100km/h) reached in 3.0 seconds, and a top speed of 204 mph (329km/h), while achieving 24.2mpg (EU combined) cycle and CO2 emissions of 275g/km. The Middle East boasts one of the highest levels of MSO customisation globally, with more than 25 percent of all models bound for the region containing an element of bespoke content. This ranges from unique colours, stitching, leathers and aerodynamic upgrades. Design consultations with owners in the Middle East highlighted a desire to see special editions unique to the region resulting in the bespoke project design team at MSO researching regional and local trends, cultures and tastes. 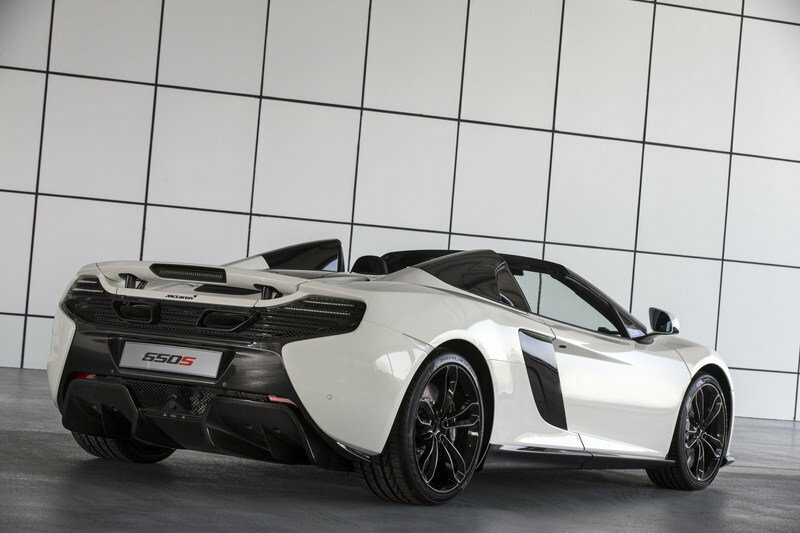 The McLaren 650S Spider Al Sahara 79 by MSO has a retail price of 1,456,308 AED. Commenting on the 650S Spider Al Sahara 79 by MSO, Ian Gorsuch, Regional Director Middle East & Africa, McLaren Automotive explained:‘McLaren Automotive is a true pioneer in its approach to the design and development of high performance sports and supercars, and the 650S Spider Al Sahara 79 by MSO is evidence of that. This truly unique project – our first in the Middle East – is inspired by a region that is home to some of our most loyal customers.